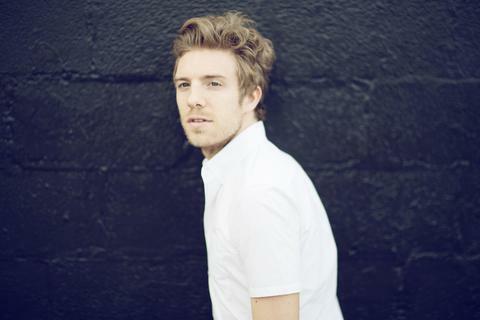 Andrew Belle is a Chicago based singer-songwriter. He released his debut album, The Ladder, in 2010 and will release its follow up, Black Bear, in 2013. Along with these albums, Andrew has self-released two EPs, All Those Pretty Lights and The Daylight. Andrew’s newest work shows strong musical influence from alternative artists such as Beach House, Washed Out, M83, and Bon Iver. Andrew’s nuanced melodies are strengthened by thoughtful, contemplative lyrics, and have served as a soundtrack to numerous hit television shows, including: Grey’s Anatomy, Pretty Little Liars, Castle, and Vampire Diaries. In 2009, Andrew was presented with awards for John Lennon Pop-Songwriting and MTV Chicago’s Best Breakout Artist. The Ladder was acknowledged by iTunes as a part of their Rewind: Best of 2010 list. Since releasing The Ladder, Andrew has spent the past three years traveling and performing with friends such as Katie Herzig, Greg Laswell, Ben Rector, Madi Diaz, The Milk Carton Kids, and is thrilled to be a part of the critically acclaimed national touring group Ten Out Of Tenn.